Big changes on an affordable budget. When it comes to renovating your home, deciding where to put in those big dollars is important. Kitchen renovations offer the most significant return regarding investment and resale value, and also, the kitchen is often thought of as the gathering place of a home. Kitchen renovations, however, can come with a high price tag, especially when doing a complete overhaul. For those on a smaller budget, enjoy these kitchen renovation ideas under $15,000. The first step to any successful renovation, unless you are attempting it yourself, is to hire yourself a reliable remodeling company based in Jacksonville Florida. Our company can help you in your kitchen reno from start to finish, from the initial planning stage to final completion. Next, discuss where your dollars will be the most practical and make the biggest impact. Be sure to tell us which features are the most important to you and your family. Often the biggest way to change the entire look and feel of a kitchen is to update those kitchen cabinets. Replacing kitchen cabinets can come with a hefty price tag, so having them repainted is a fabulous way to still make a big change, without the big price tag. Cabinets can be painted by hand or with a paint sprayer, and this is a project you can take on yourself or have our company help you with. 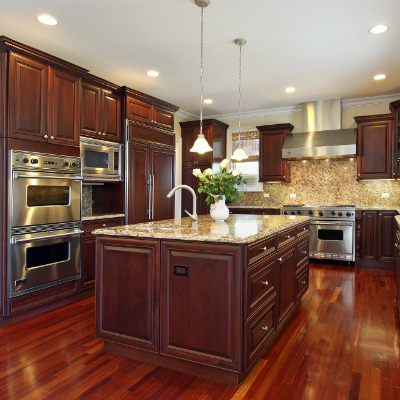 If you want to change out cabinet doors or add or remove cabinets, call in a professional. It can save you a lot of time and headaches. Cabinets are one of the best kitchen upgrades that you can invest in. Replacing old countertops updates a kitchen, and as the main surface in the space, it is also a practical place to invest some time and money. 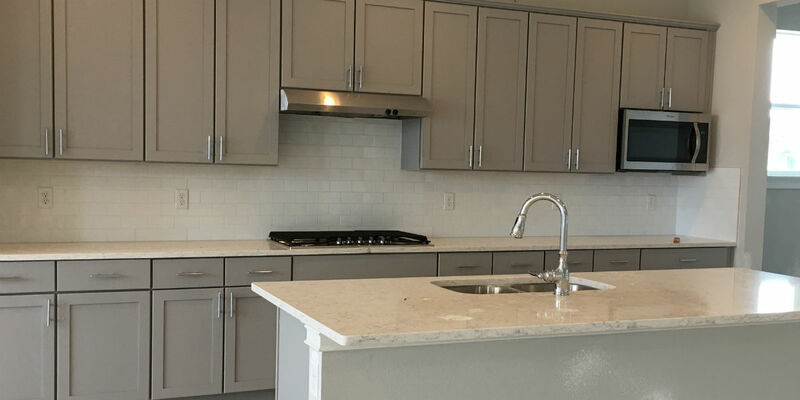 Luckily, there is no shortage of kitchen counter material options available, so you will be able to choose a countertop material to fit into any budget. From marble to quartz, granite to bamboo, butcher block to laminate, we can help you make the perfect choice for your needs and budget. Replacing a kitchen’s tile backsplash is another good project for a kitchen renovation. It is an ideal place to make a big décor splash as there are so many colors and styles available. A talented installer can even cut the tiles into a mosaic pattern for a unique and artsy look. Replace vinyl flooring or old dingy tiles with modern tile flooring. New textures and patterns are coming out every day. We have the most talented tradesmen in the area, and we can help you select the right flooring to coordinate with your counters and cabinets to create a cohesive look. Switch out the old stainless steel sink with a new retro farmhouse sink. You’ll be amazed at how spacious they are and when combined with a new granite or quartz countertop, it can completely update your kitchen. When it comes to kitchen renovations, don’t get intimidated. Regardless of the kitchen style, you are after, farmhouse, contemporary, cottage, or a chef’s dream, we can help you achieve it within your budget. Repainting kitchen cabinets, replacing old countertop, and adding a new tile backsplash will help you achieve the perfect reno for under $15,000. 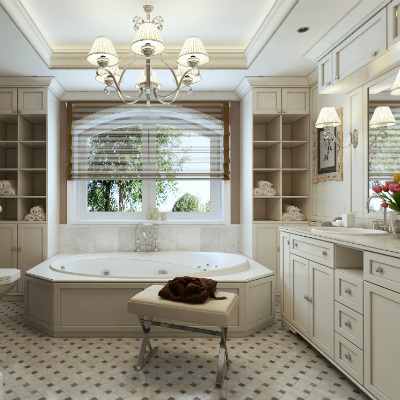 For your new sink, countertops, cabinets, flooring or lighting projects in the kitchen, contact https://MyRemodelRight.com and see our latest bathroom remodels in Jacksonville Fl check out our Google Plus page or the My Remodel Right Facebook page.